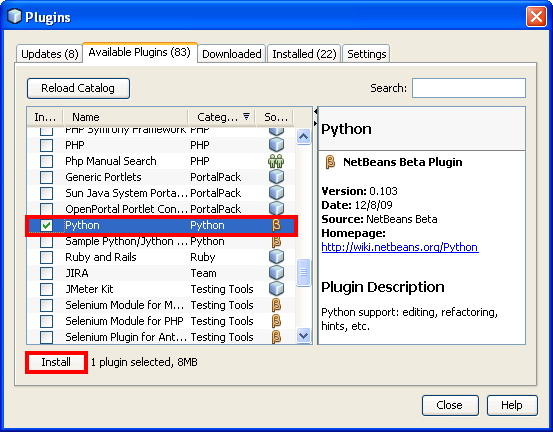 NetBeans IDE is a free cross-platform IDE that supports many programming languages, including Python. This article describes how to configure NetBeans IDE to run Vizard scripts. Download and install NetBeans IDE from their downloads page. NetBeans IDE supports many programming languages through different plugins. Go to Tools > Plugins > Available Plugins from the main menu. Check the Python plugin from the list then click Install to begin the installation wizard. 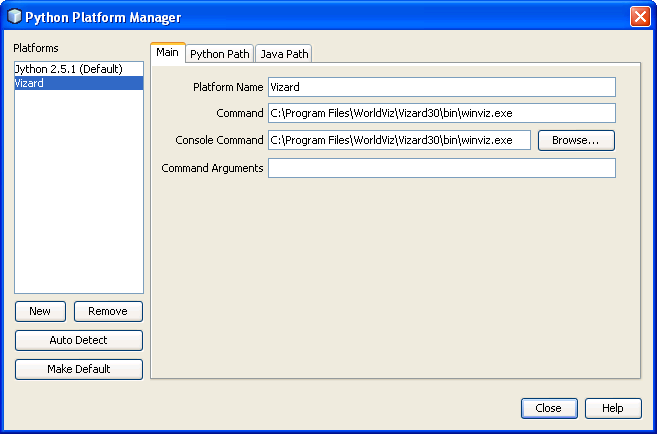 Once the Python plugin is installed, you will need to configure it to use the Vizard python installation. Go to Tools > Python Platforms from the main menu. This will pop up a dialog that allows you to manage multiple Python installations. Click New and browse to the winviz.exe file in the Vizard bin directory. This will create a new Python platform based on the Python interpreter included with Vizard. You can optionally rename the platform to Vizard. 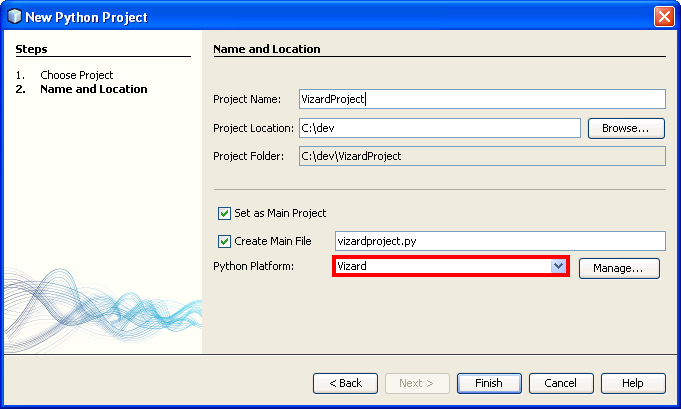 To use the Vizard Python platform, simply select it when creating a new Python project within the NetBeans IDE, as shown below.